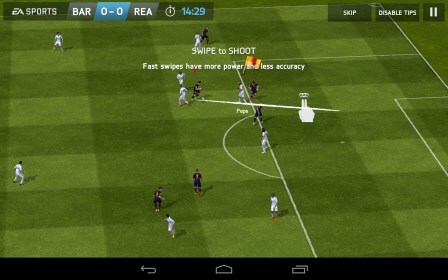 FIFA 14 – Games for Android 2018 – Free download. FIFA 14 – The world’s best football simulator. FIFA 14 is a brand new game in the series of the world’s best and most famous football simulator games. Now for Android. The game lets you dive into the football world and play one of the dozens of clubs from all over the world, kick the ball around the playfield, and score as many goals as you can. Traditionally, the game features high-quality graphics and elaborate physics that make playing unbelievably easy and engrossing. The game is controlled by swiping and all gestures resemble the actual movements a lot so that even a person who isn’t much into football will definitely like this game. FIFA 14 lets you choose between Career and Championship modes and in the latter you will be able to play freely with any team you want. Choose the difficulty that suits you and play the most famous and skilled football players to ensure that your team is always in the top of record charts. 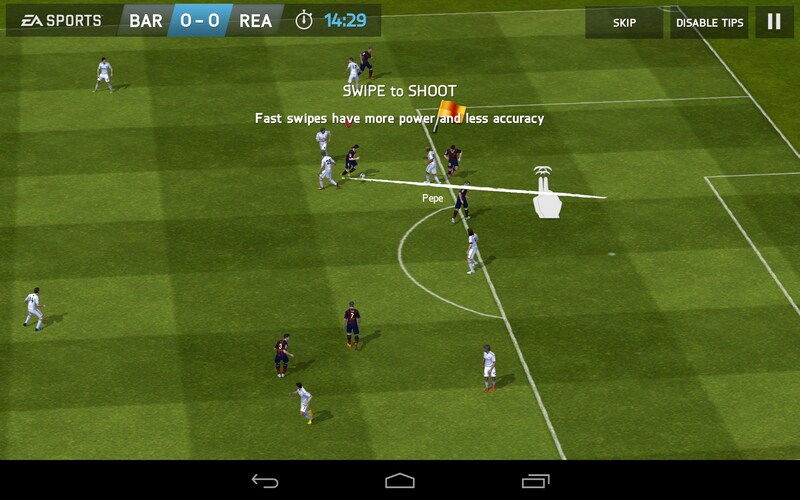 FIFA 14 is one of the best football simulator games for Android that has it all. It’s exciting, free, and features good graphics and simple controls. The game will be a perfect fit for all football fans or people who want to kill some time. The game has no significant drawbacks. Hey friends, I need your help. 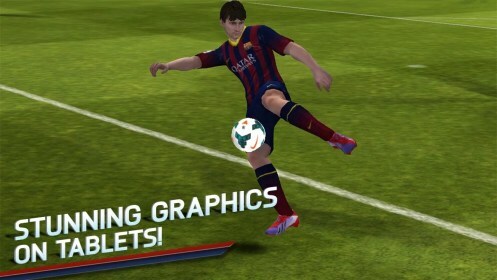 I have downloaded fifa 14 obb and apk file in my computer.Can I play fifa 14 now by transferring the file to my mobile as the game has been removed by the developers from the play store??? You should still be able to play the game if you do this, at least to my knowledge. We have no control over the development of any apps we review. The app was removed and replaced with a newer version. Please see: app4smart.com/en/4842-fif... for Fifa 15. Unfortunately Fifa 14 is no longer available. It has been removed and replaced with the new version Fifa 15. Hello sorry to bother you guys, I downloaded fifa 14 on my phone but it says can not access because you have not purchased the item. What do I do? You can see my other comment for a link to the new version. As I mentioned there Fifa 14 is no longer available and was replaced by Fifa 15. To my knowledge Fifa 14 has been taken off the Play Store. I believe the issue you are encountering is the game attempting to download additional files from the Play Store. I believe the only way to do this is to find a apk version of the app that also has the additional data folder. Unfortunately we do not support this installation method, nor can i guarantee that it will work for you. Pls my phone is samsung galaxy s and just not compatible to play store fifa 14 pls I will be grateful if someone helps me. 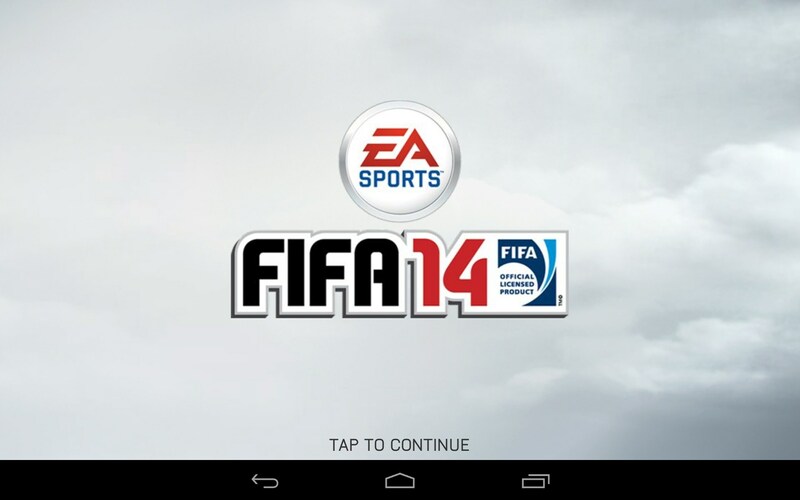 Currently Fifa 14 has been taken off the Play Store and it is difficult for me to check compatibility in lack of it. Have you updated your operating system to Android 2.3? This may help to solve your issue but i cannot guarantee this. If Google Play indicates that your device is incompatible there is not much you can do. You may attempt to locate an APK file version of the app and forcing an installation but i do not recommend it. I am unsure what the issue is. Have you tried searching for the app in the Play Store app and trying to download directly from there? Additionally you can scan the QR code provided above to locate it more quickly. What issue are you experiencing? Please be more specific. I have a sony xperia L & want to download fifa 14 but mobile not compatible. 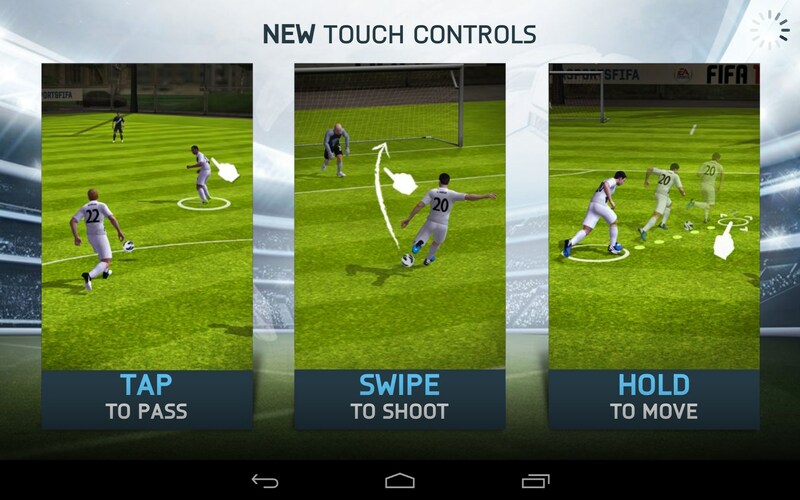 fifa 14 mobile requrment my phone compatible so why we cann't install ?? Origin not aviable check tour internet conection ?????? I have an HTC Mini one andhave successfully downloaded Fifa 14, my son has the same phone and it says the phone is not compatible? Are you referring to the HTC One Mini? If you have two devices and it says one of them is incompatible you could attempt to download it directly from the Play Store app on your device. I am unsure as to why it would install on one of two identical devices. will fifa 14 work smoothly , without lagging ?? 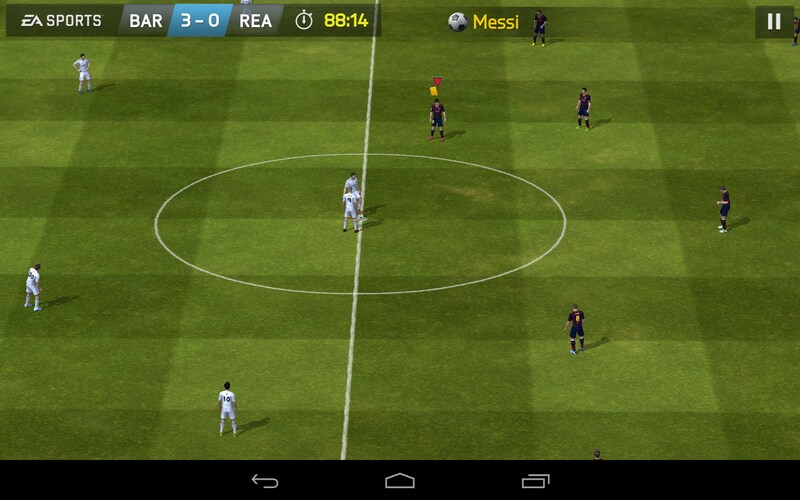 The Android version does not affect the game in almost any way. Based on your device, it should for all intents and purposes run well enough. I can not say with 100% certainty as i have yet to test the device and it is not a widely used device, which means support on it is most likely limited. how much sd card memory is needed? Hello, the L5 is a rather old device relative to the game. You can try to install it on the play store, but if it says that it is incompatible, then there is not much to do about it. Which systeme should i download? In order to download the app you need to click on the button saying 'Free' that is located above. Please let us know if you would have any other problems. Can you provide more info on your problem? Do you receive any error message. Also, check that there's enough free space on your device as the game consumes 1.2 GB. Simply click on the "Free Version" link found above and it will direct you to the appropriate Play Store page and from there you can install it. Just make sure that you are logged in with the same Google account on your PC and your device. Additionally you can scan the QR code found above or search for the app in the Play Store app found on your device. bhenchod how i download game ..
haw I download there games?????? how can i download the game free?